If you've never experienced the hoot of a Great Horned Owl, the thundering gobble of a spirited old Tom still in his roost tree, the flapping of his wings as he flies down to soft clucks, purrs and yelps and the vibrations of the ground as he struts and drums toward your well-hidden position; you've never experienced real hunting. For those of you who are turkey hunters, you know exactly what I'm talking about. 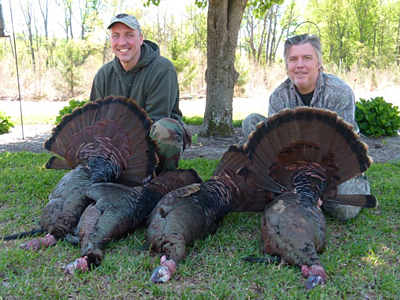 To challenge an Old Boss Gobbler and win is probably one of the greatest feats in all of hunting. Turkey populations on Buck Run properties are at an all-time high due to several years of high hatch and survival rates. 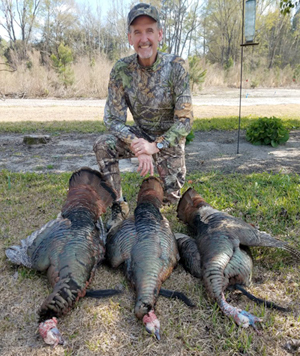 With a little luck and the help of mother nature to provide good weather conditions, one should enjoy a great turkey hunting experience. 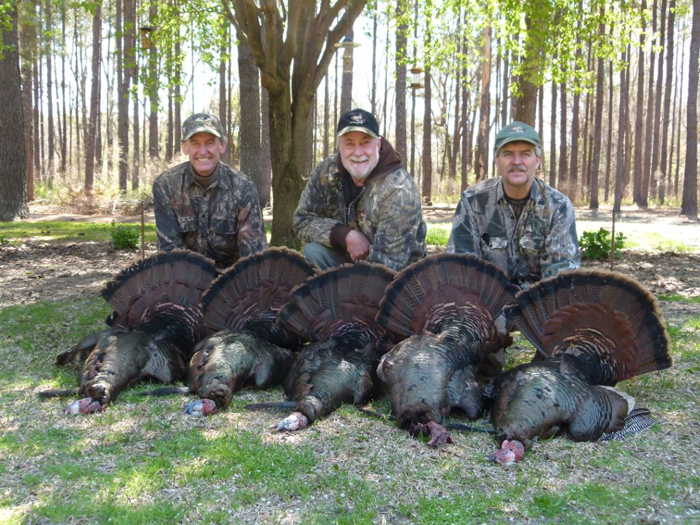 Turkey hunting parties are limited to four (4) persons and are semi-guided, with the hunter doing his own calling. 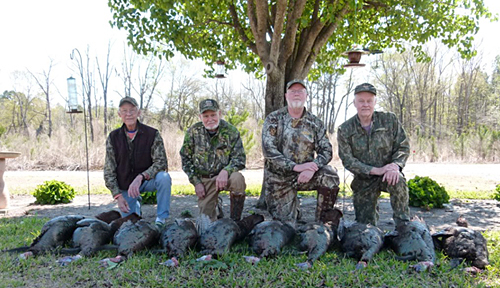 Mature birds usually weigh between 18-24 pounds, with 10-12 inch beards and 1-1 1/2" spurs. No Jakes!